Prosperity Mirrorwill add that perfect nautical finishing touch to your beach home's decor with the coastal cottage perfect mirror. 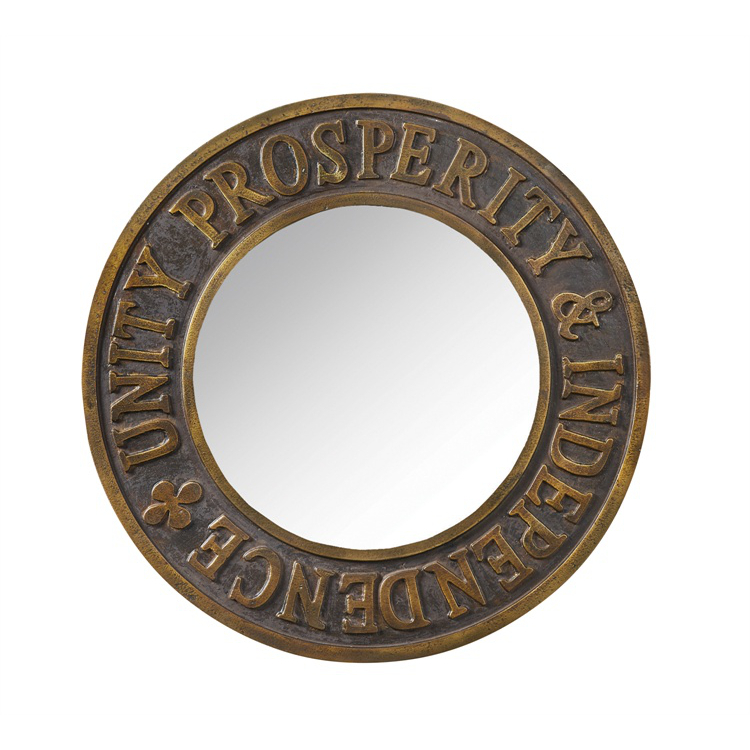 A 1789 copper button commemorating the inauguration of George Washington inspired the text and design of the Prosperity Mirror. The button bears the verse Unity Prosperity & Independence encircling a sun bordered by 13 stars. 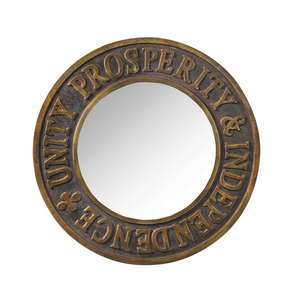 This 20 inch round mirror has a historical look that will defiantly compliment your nautical decor in any room.